Antón Costas is Professor of political Economy at the Univeristy of Barcelona (UB). He writes a column for the daily El Periódico de Catalunya and regularly contributes to El País. 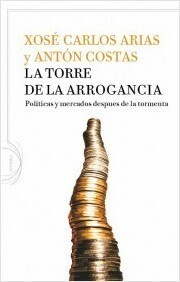 He is the author of several books on economics, including La Torre de la arrogancia: políticas y mercados después de la tormenta (The Tower of Arrogance —politics and markets after the storm), published in Spain in 2011 and written in collaboration with economist Xose Carlos Arias.